This tutorial shows the steps to install Legrand communication software to monitor a directly connected UPS, for example with a USB cable. This software allows you to manage the server and possibly others with the RS module It will be installed in /usr/legrand/upscomm/. Choose your language and press the space bar to view the license and Y to accept it. 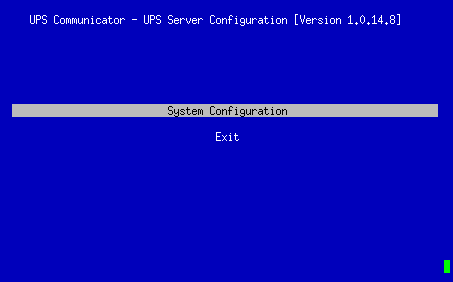 Then hit Enter and choose your UPS System, the communication port (/dev/ttyUSB0 for USB port 0) and a password to protect the configuration. Go to Events configuration and choose what to do. Legrand making use of GNU/Linux open source does not open source a small UPS utility? Can it manage a APC Smart UPS ?